This man made me feel more proud being a Filipino. 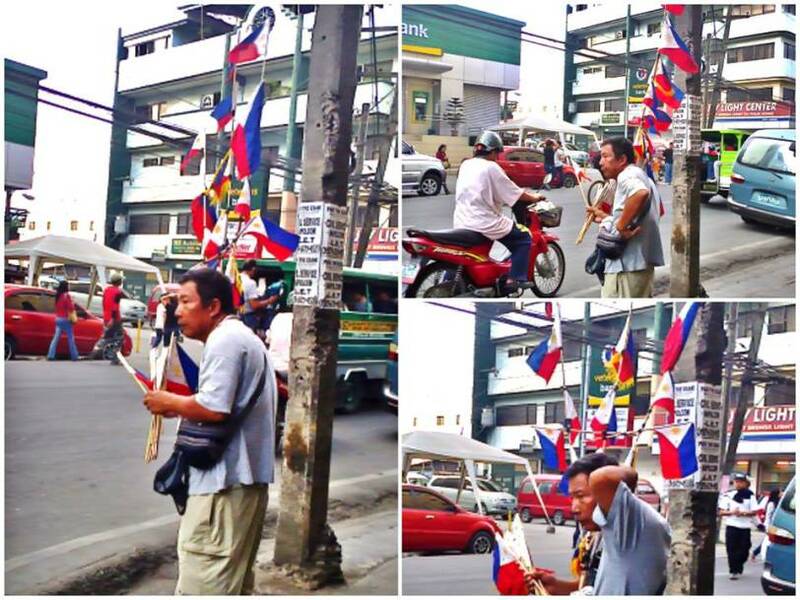 I believe he is the only guy in Zamboanga city selling Philippine flag this way. A noble kind of job. His name is Rodrigo Alma Jr. originally from Davao City. Mr. Alma were able to send and finish his children in college with the degrees of Engineering, Architecture, Business Administration and Accountancy.